Keraun Harris,how he went from prisoner to rich media personality in 6 years! Six years later, Harris has turned things around in dramatic fashion. After getting out of prison, he started making comedy videos for Instagram, Vine, and YouTube under the moniker “King Keraun.” These videos—most of which were shorter than 15 seconds, the maximum length allowed by Instagram—dealt with the usual topics: relationships, family, football. But they were funny and relatable, and they came at a time when big companies were trying to capitalize on the appeal of social media celebrities. King Keraun’s videos got him noticed, first in Houston, and then by the larger internet fame complex. What happened next was a modernized version of the classic Hollywood fairy tale: agents swarmed, entertainment mogul Russell Simmons brought him to L.A. and became his mentor, and brands clamored to place their products in his Vines and Instagram videos. He amassed 1.4 million Instagram followers, 1.8 million Facebook likes, and more than 100 million Vine loops. 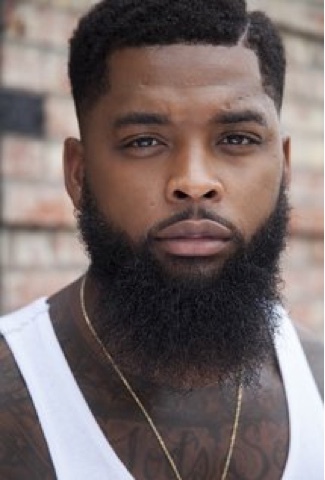 Soon, Keraun was part of an elite crew of young, black social media celebrities that included King Bach, Max Jr., and Jerry Purpdrank, who collectively entertained the market segments known as “Black Instagram” and “Black Vine” (both of which are separate from Black twitter, but no less real or distinctive). Along the way, King Keraun met Simone Shepherd, another social media star who converted a series of short comedy bits into a lucrative career. (3.1 million Vine followers, 405,000 Instagram followers, 300,000 Facebook fans.) The two started appearing in each others’ videos, fell hard, and started dating. These days, they don’t advertise their relationship on their social channels, but they’re not exactly keeping it a secret, either. Shepherd, who prefers the label “multi-platform content creator” to “Vine star” or “Instagram star,” is another testament to the star-making power of social media. A Pittsburgh native and Russell Simmons protégé, she first focused on making Vine videos, then expanded her domain to Instagram, YouTube, and other platforms. She says that social media has given black actors and comedians a way to sidestep the traditional gatekeepers in show business, at a time when traditional Hollywood is reckoning with its legacy of racial discrimination.